Ladies and gentlemen, your baby’s sparkling chariot awaits! 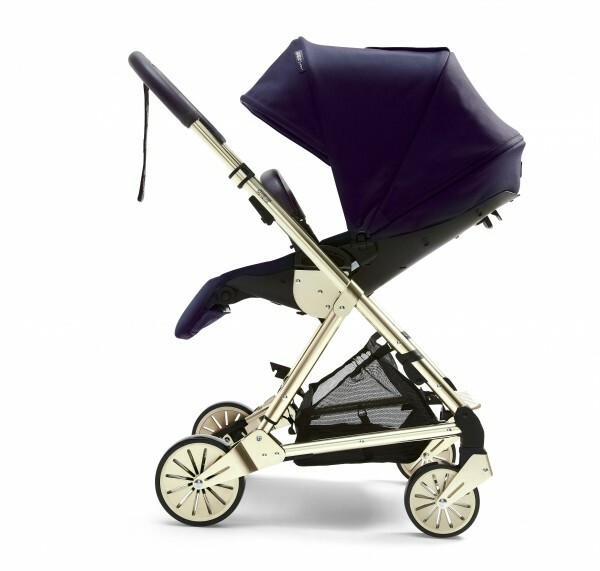 The supremely fabulous, limited edition Mamas & Papas Urbo² in Twilight Gold has just landed in Australia, and here’s your sneak peek (and where you can get your hands on one!). 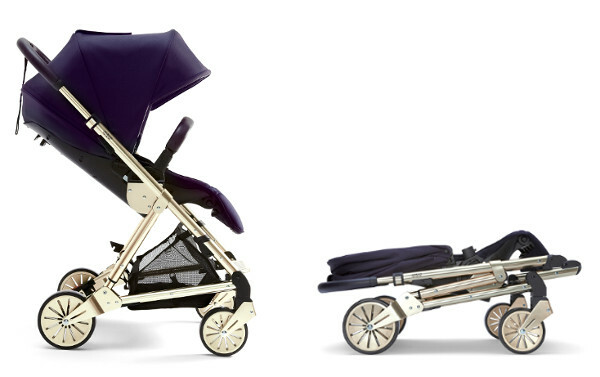 Wallflowers, look away now, because this stroller is all about turning heads. With a frame that looks like it’s been touched by King Midas himself, the Urbo² has an opulent edge. Britain’s favourite nursery brand, Mamas & Papas, had already turned up the heat on the original Urbo. By fine-tuning the suspension, fold and steering, they gave the next generation Urbo² the perfect balance of urban handling and style. Now, with the release of their Twilight Gold version, the dial is up to scorching! The gleaming chassis and frame perfect balances with the Dark Navy hood, and little extras like smooth suspension and a concealed insect net give your baby a luxe ride. Not only is the Urbo² a shining star when it comes to style, but it makes getting out and about with your bub a breeze, because it’s also car seat compatible. While it keeps your baby in the lap of luxury, it’s also a really neat little package with a narrow frame and adjustable handle so you can get in and out of tight spots with ease. Here’s a look at just how nimble it is. The Urbo² is also available in Dark Navy and Chestnut Tweed. Look out for the Twilight Gold Urbo² at the Pregnancy, Baby & Children’s Expo in Melbourne on 19 August – it’s your first chance to see one (and order) in the flesh. This stunning stroller will be exclusively available for purchase from Baby Kingdom in Sydney and Baby Mode in Melbourne, in limited numbers. The pram will retail for $1199.95.